January was a dismal reading month for me, Bookworms. I hope your month was much better. 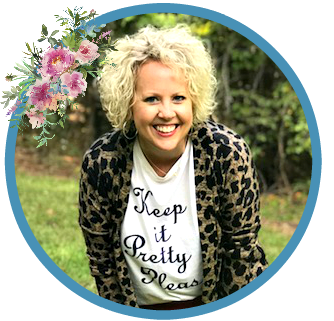 I would love for you to follow me on Goodreads and stop by Steph and Jana's blogs to find out what everyone else is reading, and, if you're like me, find a really great book! 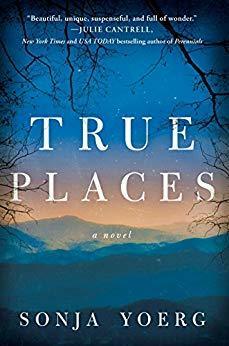 True Places || Even though I had trouble identifying with the main character of the book, I loved the family dynamics and the realness of true family situations. Suzanne finds Iris on the side of the road one day and invites the stranger to stay with them until her family can be contacted. True Places is about how an ideal family (at least from the outside) comes face-to-face with their own brokenness and how Iris' arrival changes them. Three stars, but not a must read. 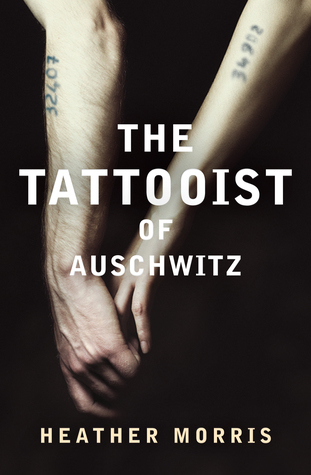 The Tattooist of Auschwitz || I was disappointed in this book because I thought it was so lacking in detail and depth. 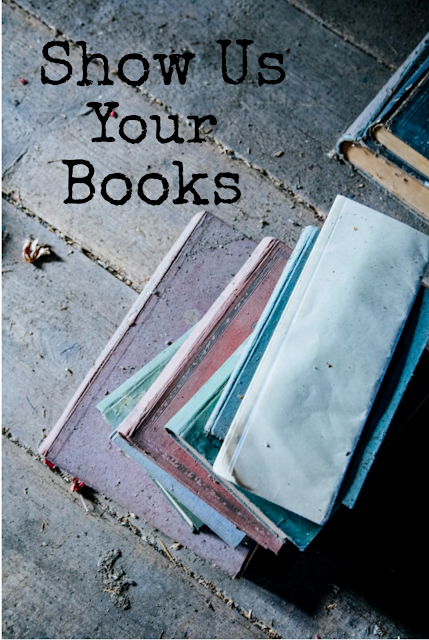 In the words of one of my friends on Goodreads, "there are so many better books on this topic out there." Three stars. 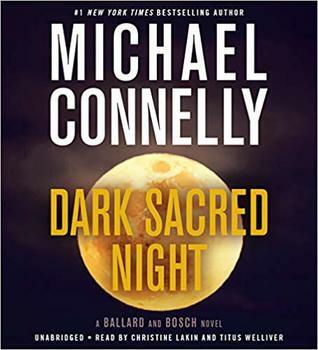 Dark Sacred Night || Y'all know how much I love Michael Connelly's Detective Bosch series, but this book was even better because of the introduction of Renee Ballard, who is an LAPD Detective. The pair team up to solve a cold case that involves a teen runaway. I gave this book four and a half stars and would love to see more books with these two characters working together to solve LA cold cases. Verity || Okay Friends, this book is not for everyone. I'll just go ahead and tell you that it has explicit situations and language, but the hype of this book! Oh, my! EVERYONE is talking about the ending, but unfortunately for me, what happens is that I buy in on the hype books and then I'm disappointed. Without trying to give too much away, I'll just say that the ending was not the "TYPE" of ending I expected, but yes, it will stay with you. Three and a half stars. Her Final Breath || It had been a while since I read the first book in this series, but when I found it on sale at Amazon for $1.99, I decided to pick back up with female detective, Tracy Crosswhite. In Her Final Breath, which is book two, Tracy is trying to find a serial killer who is murdering dancers from gentleman's clubs in the Seattle area. I enjoyed the twists and was totally clueless as to the identity of the killer. Fans of Dugoni will recognize the name and how much I loved his book, The Extraordinary Life of Sam Hell. 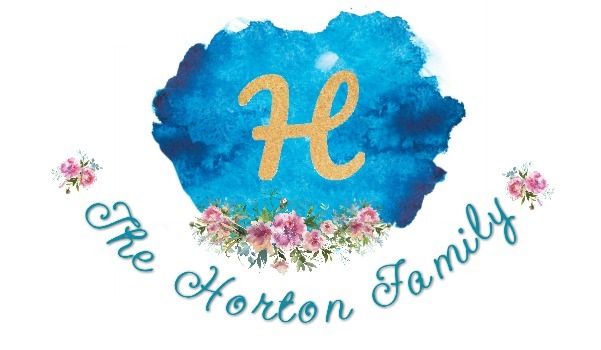 I hope you find the perfect book in February! Girlfriend I do not know how you find the time to read all these books! When I am reading a book nothing else gets done, lol. I enjoyed your reviews! Verity really was something else! Verity still has me shaking my head! It was like a train wreck.... I couldn’t walk away. Lol! I couldn't either, Heather! I was disappointed in The Tattooist of Auschwitz as well, especially since my sister told me it was an absolute MUST read. I gave it 4 stars but it really wasn't worth that - I just felt bad giving it a low rating when the actual story it's based on is so compelling. I totally agree! I felt the same way! Verity was a bit overhyped for me too - my own fault - but I definitely flew through it very quickly and had no idea what was actually going on for most of the book, so it worked for me in that sense!! I felt the same way, Heather! Glad to know I wasn't the only one! I am very curious about Verity. LOL It'll probably be a bit before I get to it though. It's been a while since I read a Dugoni Tracy novel. It might be time to pick back up, I think I have a few on my kindle that are unread. oh finally, someone else who didn't love the tattooist book. we read it for book club and all but one hated it, and i felt like we were so in the minority! Verity is our next book, i have super high expectations given all the hype. her books have been hit or miss for me in the past, so i'm curious to see how i like it. 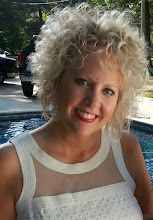 I agree with Colleen Hoover's books! Most of the time they are hit or miss for me, although I didn't think Verity was a complete miss, just not what I had expected based on all the hype about it. I hate when I have a bad book month. Verity seems to be the book of the moment. Everyone is talking about it! Everyone is raving or at least talking about Verity and I had never even heard of it. This is what happens when you've been suffering from a lack of reading mojo! And to my great shock, my library doesn't even carry the book. I will be putting in a request today for them to buy it! :D I really need to try the Bosch series because I love a good, long-running mystery series. My reading mojo is lacking, too, Tanya! It Has to be a recommended book at least four stars or above for me to dig in. Really have me intrigued about Robert Dugoni as I have never read his books but I am going to seek them out now! I felt exactly the same about True Places. And I have been hearing so much about Verity too - I'm definitely curious but wary of something that is possibly over-hyped. And I'm excited to learn about Dark Sacred Night! I read The Late Show, the first one about Renee Ballard, a couple of years ago, and I thought she was such a great detective character. Didn't know about this new one yet, but it's definitely going on my list. I tried reading The Late Show a while back, but couldn't get into it. Now that I know I really like the character of Renee Ballard, I think I'm going to give it another shot! I'm going to look into the Bosch/Ballard book - sounds like something I'd like. I just got the first in the Dugoni series from the library. That was so disappointing about Tattooist. I took it off my TBR list after I saw a few reviews like yours. I hope I can kick myself into gear with my reading. So far I have only read one book recently! Me either, Kim! The ending definitely keeps you guessing/wondering! 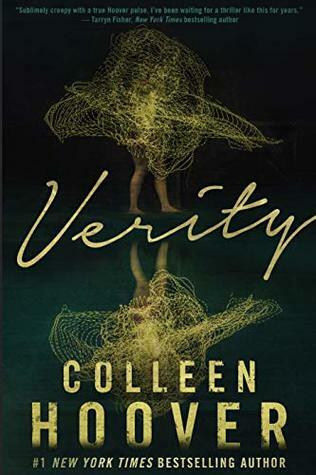 I kind of swore off Verity after I determined that all of Colleen Hoover's books are really similar. 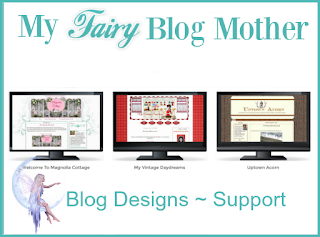 I have heard a lot of positive reviews of Verity though! 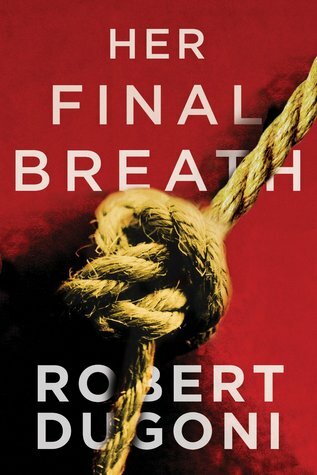 I actually read and liked Her Final Breath and now I see there are 2 more books after that one in the series! Verity has been on my to read list. I love Hoover! I had wanted to read The Tattooist but you're not the only reviewer that has said it was just okay, so I think I'll pass. I keep hearing different things about Verity, cant wait to check it out! I have not yet read True Places but it is waiting for me on my Kindle... I hate when books don't live up to their hype. I was kind of disappointed by Verity. Not the ending I expected - and I think I wrote a better one in my head! Your comments about The Tattooist (geez, that word is hard for me to spell) were exactly how I felt about the book. My favorite genre is historical fiction, WWII era, so I wanted to love this book and felt guilty that I didn't. Especially since it is a true story. But I wasn't too crazy about the main characters. I did like Sam Hell a whole lot so will add Dugoni's book to my Goodreads. Always glad to read your reviews. Have you heard about Women Talking? It comes out in April but I accidentally put it on a list for my book club to vote on for March. Everyone is interested in reading it and I feel terrible that it isn't available yet. We are tabling it til our next go-round.